The event is based on groups of individuals working together to reach a number of personal and shared goals. The event is organised by the Snowdonia Challenge team which is based in Lancashire, but will be working very closely with the community of Llanberis to make this a most memorable 3 day event. The challenge involves individuals with a terminal illness, disabilities and ex-servicemen who have suffered the loss of multiple limbs. As well as activities on the mountain, excitement and activities will be created in the village of Llanberis. Plans are afoot for a concert with special celebrity guest performances, corporate exhibition, day and night markets, watersports activities, ‘alternative mountain route’ corporate packages, group packages and a fantastic fireworks display. Our intention is create a perfect adventure weekend whilst raising money for charity! 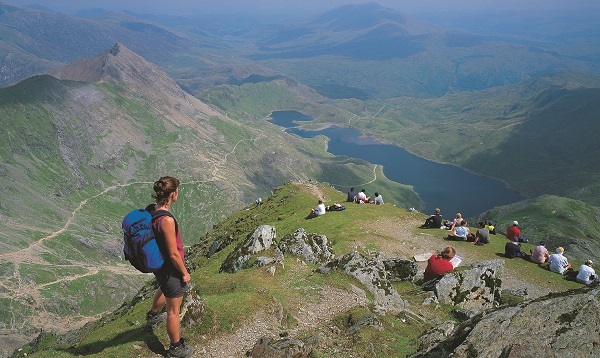 As well as providing a unique and adventurous opportunity for all participants, the Snowdon Challenge will also raise current awareness and funds for the provision of care and support for the terminally ill and people with disabilities. A great start has already been made with support been given by local companies, the local community of Llanberis, together with individuals who are supporting the aspirations of Snowdon Challenge. Would you like to know more or offer support to the Snowdon Challenge?